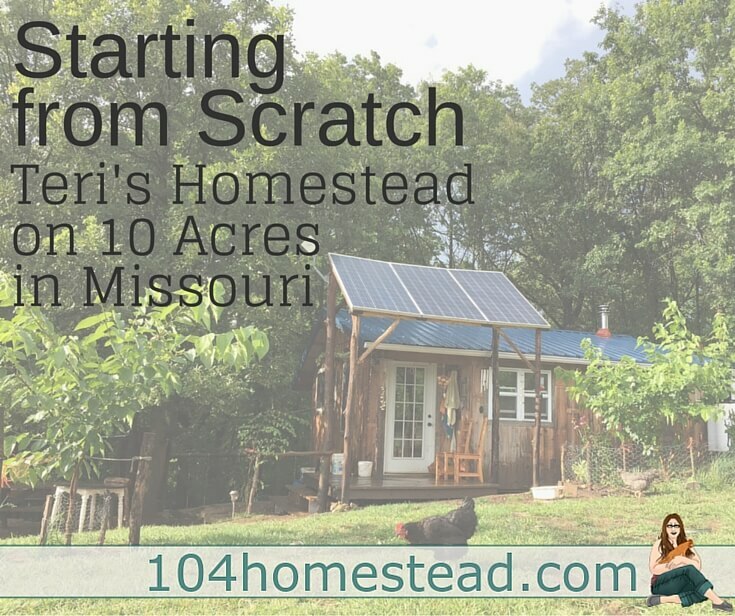 Homesteader Profile: Teri lives on 10 acres in Missouri with her family of four. 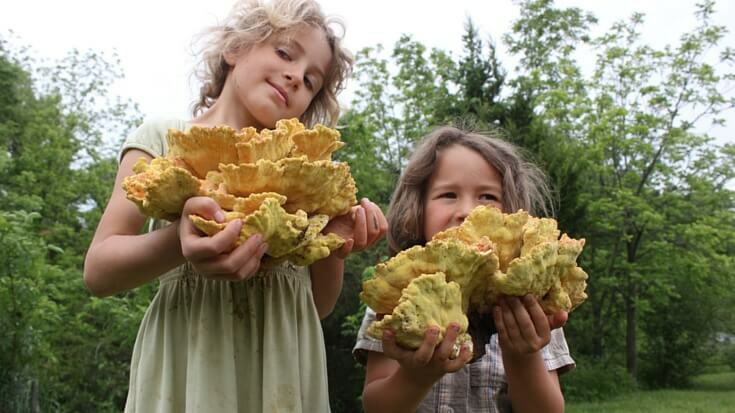 She is the writer of Homestead Honey and today she is sharing her homesteading journey with us. 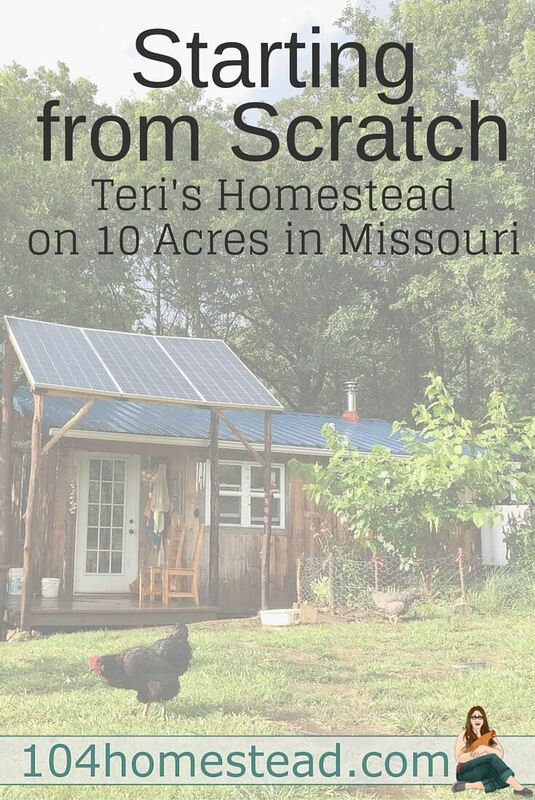 She is also author of Creating Your Off-Grid Homestead. If you are interested in going off-grid, I highly recommend this book. Hello, and thank you to Jess for inviting me to share my homestead. 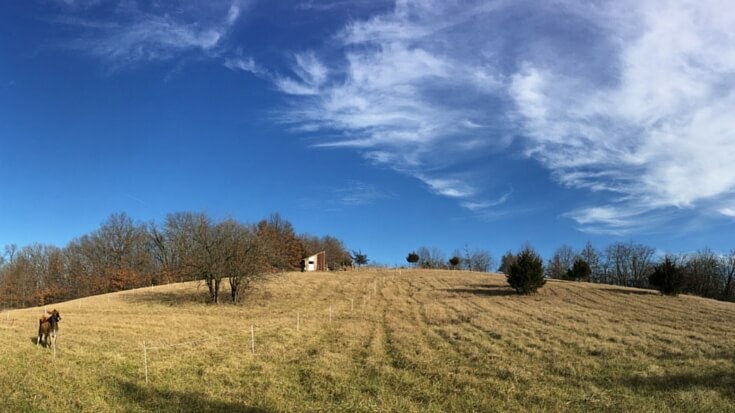 My two children, ages 5 and 8, my husband and I live in rural Northeast Missouri, where we are building an off-grid homestead from scratch on 10 acres. Our homesteading journey began in Oregon in 1999. After several months of living and working at a sustainability education center, my husband and I were eager to get started on our own homestead. For 13 years, we rented the most wonderful creek side house on 30 acres and slowly built a livelihood that included chickens, ducks, dairy goats, pigs, bees, gardens, and fruit trees. We learned SO much through sheer trial and error! The call to steward our own piece of land was great, and in late 2011, we moved to Missouri to join two other families on a newly forming community land trust. We each own 10 acres, and we co-own another 30 acres of forest, pasture and pond. We started with absolutely no infrastructure, camped on the land when we first arrived, and lived without electricity for over a year as my husband built a 350 square foot tiny house and several outbuildings. I feel so grateful that my husband is a skilled builder, and that we spent 14 years “practicing” skills before finally having homestead of our own. We currently have two gardens, totaling around 1500 square feet, and we’ve planted upwards of 125 fruit trees and native edibles. We have a small flock of ducks and laying hens, two Jersey milk cows, and a few pigs and lambs for meat. We recently installed a solar electric (photovoltaic) system to power lights and a chest freezer, but we still make do without running water or an indoor bathroom! Moving to a raw piece of land and starting a new homestead from scratch has been the biggest adventure and challenge of my life. 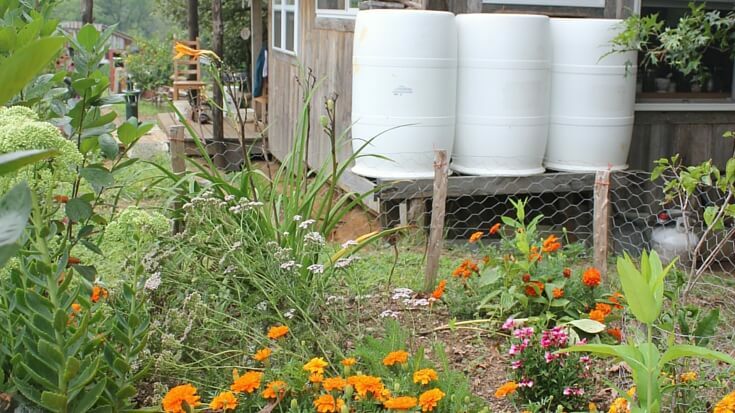 You can do a lot of homesteading on very little land – in fact, the bulk of our homestead – the gardens, orchards, chicken coops, cow and sheep pasture – all sits on just over 4 acres. The rest of our land is forested, which provides us with shade, firewood, tappable trees for making syrup, mushroom and berry foraging, and raw material for building. If you opt for a homestead that is over 5 acres, think about whether or not you will be able to maintain that acreage. It is a lot easier to manage a forest than cultivated land. That said, I love having the freedom to roam over our acres, and hiking, swimming, skating, and skiing on our land with my family. I like reading your story I am building my shed on my farm with fruit trees vegetable gardens to look after so I can sleep in look after my farm no power available at the moment but would like to go off grid system , hot water, rain water to use for the gardens, drinking water as well. still planning my little shed already half way to finish. 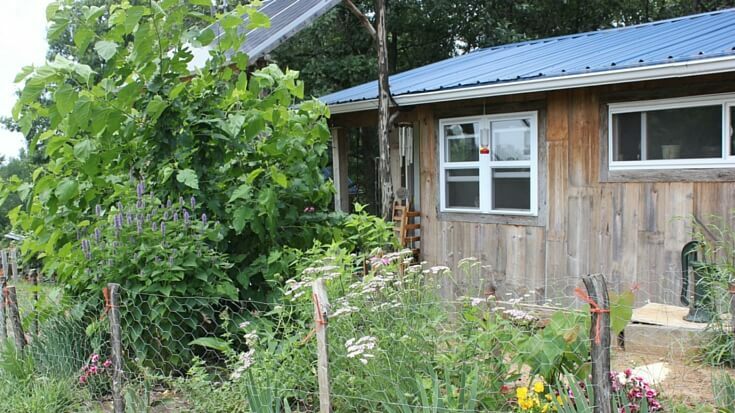 It’s always interesting to read about others’ homesteading journeys, how they provide for themselves as become more self-sufficient. I’ve come a long way in the past nine years, but I’m still in awe of people who start from scratch and rough it like y’all have. I was so pleased to see Teri’s story here as I am a follower of her blog. I love reading about people following their passion and heading out to do the uncommon. I loved that Teri was willing to share her journey. It’s so inspiring. Jess, I am really enjoying this series. Thanks for sharing Teri’s story.